Database Systems Corp. (DSC), since 1978, has been providing computer related products and services to a wide range of customers. DSC is a proven leader in providing call center technology including computer telephony phone systems and computer telephony software. Using our multiple call centers, DSC also offers computer telephony phone services. These services include the processing of inbound phone calls using our "Smart" interactive voice response IVR software that answers calls without an operator. Calls can be processed completely using this service or we can route these calls to your operators or service representatives. DSC likewise provides outbound phone systems and outsourcing services. Phone calls can be dialed using our computer telephony solutions including voice message broadcasting and various forms of auto dialing that incorporate phone agents. 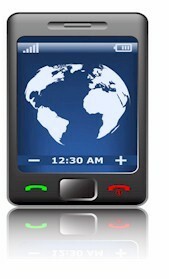 Computer Telephony Integration (CTI), is a concept that enables computers and phone systems to communicate with each other. In fact, CTI effectively merges the functions and features of each of these two technologies into one integrated system. CTI in its simplest terms includes placing and answering voice, fax, and data calls. The integration of computer systems and phone systems is a major development in the evolution of the automated office and has contributed significantly to the productivity gains of the modern office. DSC is a demonstrated leader in providing computer telephony solutions. Our computer telephony softphone places telephone functions on the user's desktop. Contact DSC to learn more about our telephony software and phone systems. DSC offers both affordable and full featured computer telephony phone systems. Our modern phone system includes a Windows PC with computer telephony boards and Dialogic CTI software from DSC. When combined with our full-featured telephone software, these computer phones can perform both inbound call routing as well as outbound message broadcasting and auto dialing campaigns. Some of the telephony features supported by this phone are auto dialing, automatic call distribution, interactive voice response, caller ID recognition, etc. The WIZARD system is our entry level computer telephony phone system that supports up to 48 analog phone lines. This system comes complete with our IVR phone software for automatically processing inbound phone calls. This system is fully capable of delivery voice messages as well. If your center requires more lines, the WIZARD phone system can be upgraded to our PACER computer telephony phone system to process both inbound and outbound calls using hundreds of digital phone lines. Your phone software development is fully compatible between these two phone systems. The upgrade path simply involves the replacement of phone hardware components. Computer telephony integration (CTI) software is a rich set of phone software library routines that enable application programs to control your phone system. This comprehensive CTI software lets you increase employee productivity, enhance customer service and reduce costs by combining the capabilities of our PACER and WIZARD phone systems with the custom functionality of your Windows, Unix or Web applications. DSC has been a leading provider of computer telephony phone software products for several decades. The following are just a few of the CTI software options and features available from Database Systems Corp. Launch Online Applications - Based upon caller information, specific PC, Unix or Web applications can be automatically launched using our telephony software. Caller Identification (ANI) - Information from an existing database can appear on-screen when your telephone rings and remains on the screen during the call. Called Number Identification (DNIS) - Specific campaign information can be displayed from the application based upon the number dialed by the caller. IVR Collected Information - Data collected by the phone from the caller (DTMF signals and recorded information) can be passed to your application by our phone software. Our computer telephony integration software manages this process and frees agents to be more productive. Auto Dialing - Point and click any phone number in your computer database or softphone and the telephone will dial the call - a must for maximizing the productivity of outbound telemarketing or call center service desks. Voice Broadcast - Calls can be automatically broadcast to large numbers of individuals playing recorded messages - ideal for emergencies or mass communications. Predictive Dialing - Calls can be launched from our phone dialer and connected to your agents using our computer telephony software. Online Call Center Reporting - DSC computer telephony products includes online reports plus the ability to customize reports and graphs to your specific needs. Contact DSC for a FREE analysis and quote and to learn more about our computer telephony products and services.